Coming over from 40 Followers. 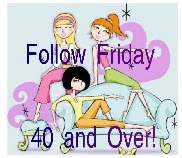 Stopping by from Follow Friday 40 and Over. I am now a follower.